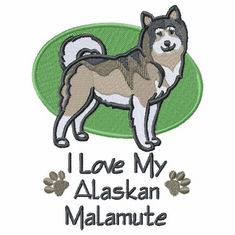 The Alaskan Malamute is a large northern dog breed originally bred for use as a sleddog. The coat is a dense double northern dog coat. 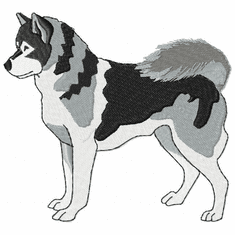 The usual colors are shades of grey and white, sable and white, black and white, red and white, or pure white. 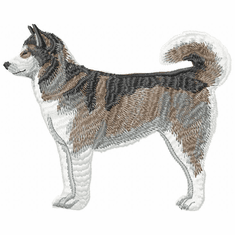 The colors in these Alaskan Malamute designs can be adjusted somewhat to more closely resemble your dog, including changing eye color. 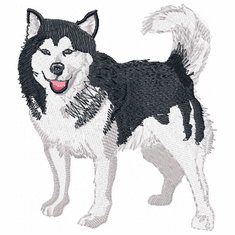 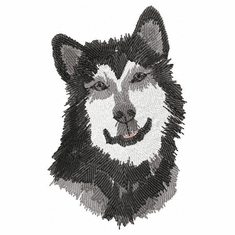 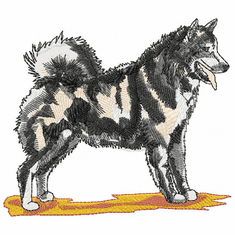 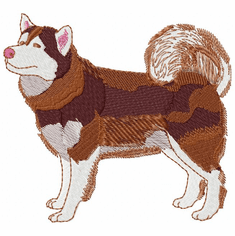 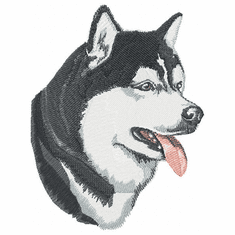 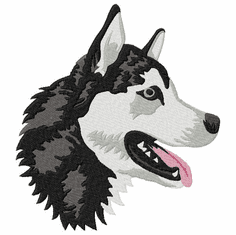 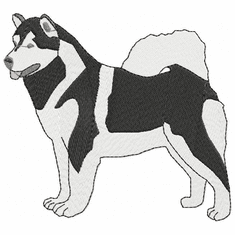 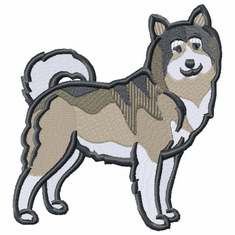 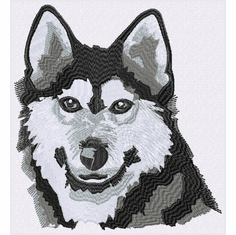 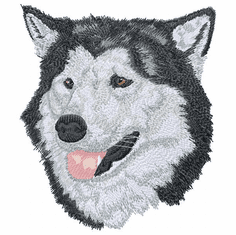 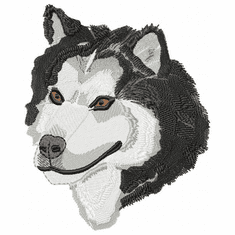 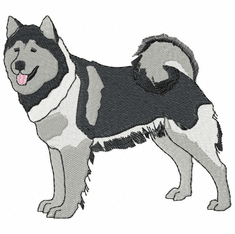 these Malamute embroidery designs are available on sweatshirts, denim shirts, denim jacket, tote bags, polo shirts, and Christmas stockings.